What This Father And Son Caught While Fishing Will Give You Nightmares. When this father and son decided to plan a day trip of fishing off the southern coast of New South Wales, Australia they never expected this. They cast their line into the ocean, and waited. Finally they received a tug. As they reeled in their catch, they were shocked to find what they brought to the surface. 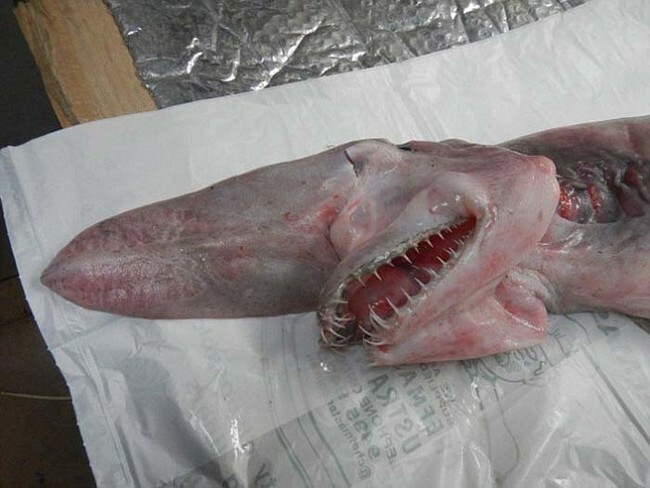 The father and son managed to catch a rare adolescent goblin shark, also known as a vampire shark. 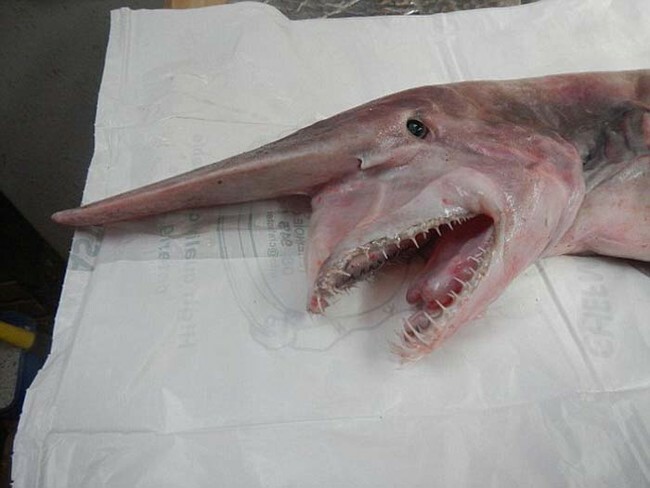 The goblin sharks are rarely caught by humans. The species dislikes the sunlight and usually resides near the ocean floor, about 4,000 feet below the surface. This one however decided to venture up about 2,000 feet, before being caught by the two. 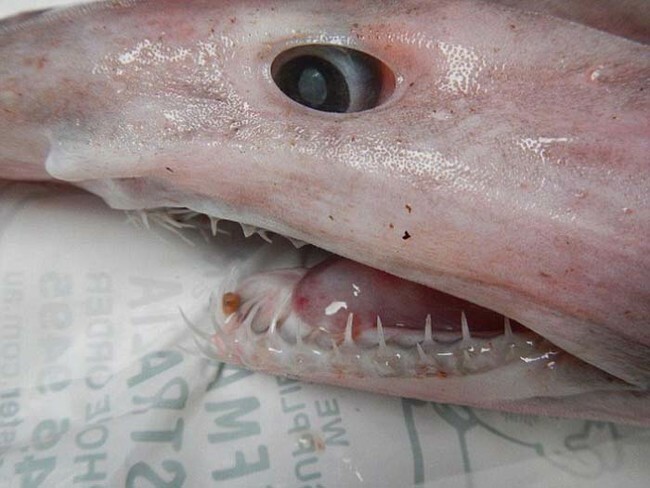 This shark is unique, and called a goblin shark because it is actually a living dinosaur. This species has not evolved in any significant way for the last 125 million years. This young goblin shark was only about 4 feet long. However, adult goblin sharks can grow up to 13 feet in length. 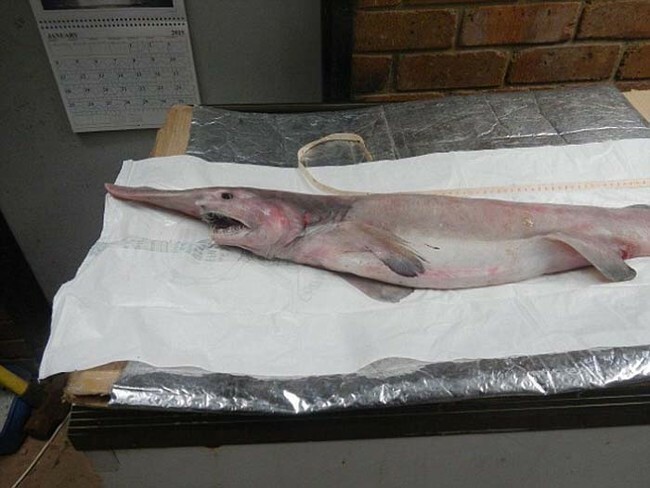 This goblin shark will be sent to the Australian Museum in Sydney for further study. A Mama Cat Was Given A Baby Squirrel – Can You Guess What Happened?